Engine Control Enclosure for J1939 electronically governed T4i and T4F Engines. 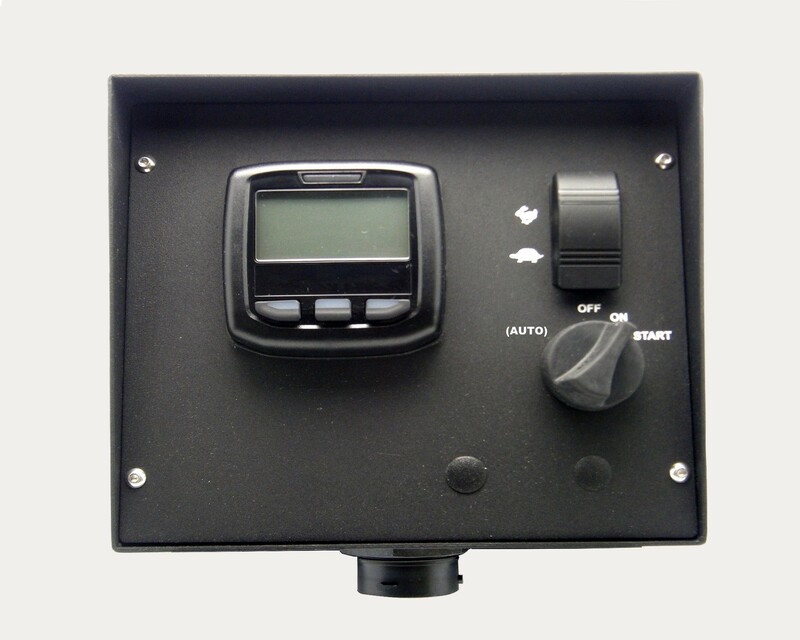 Enclosure measures 8" x 7" and consists of: 2.3" LCD display, sealed ignition switch, throttle switch and interconnect harness. Ideal for use in Industrial Applications including Pump, Generator and Auxiliary Engine applications. Standard features include: Active and Stored alarm viewing, multiple language support, User programmable engine shutdown via alarm.